It's no secret I enjoy a G&T. It's a fascination I siphoned off my friends, which very quickly escalated into my buying eight bottles of No.3 London Dry Gin, when it was discounted - unbelievably - to £12 a bottle at a local supermarket. Throw in a visit to Silent Pool Distillers, conveniently located around the corner from my office, and so began my liquid love affair. While mine and my flatmates' gin collection nowhere near rivals the likes of Holborn Dining Room (counting an impressive five-hundred-and-something different gins), I imagine we might have a few more bottles of gin in our livingroom than your local pub. My individual love for gin is easily stirred at the mention of a brand new label or a complimentary tasting, and I often find myself stocking the shelves with new bottles before I've finished those I have already. On top of the many other spirits we have for cocktails, it makes for a striking corner in our abode. 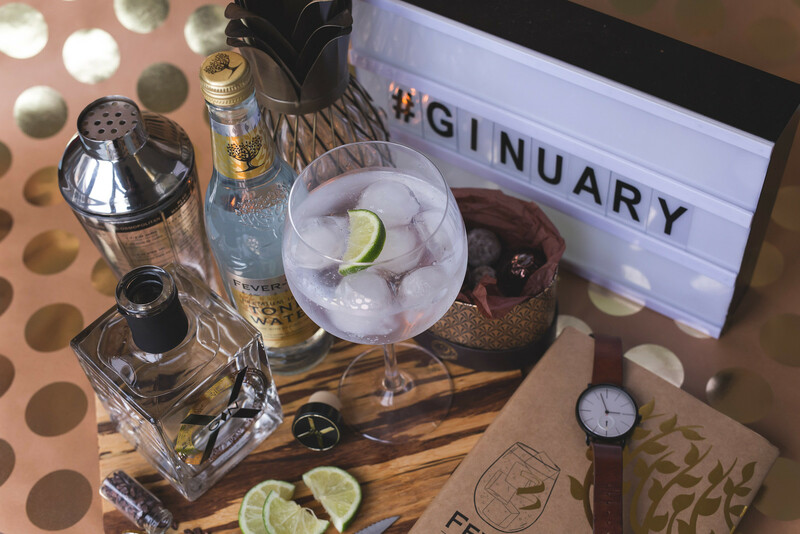 January has been no exception for new gins, even if half the country is temporarily tee-total. (Just a couple more days to go, guys!) 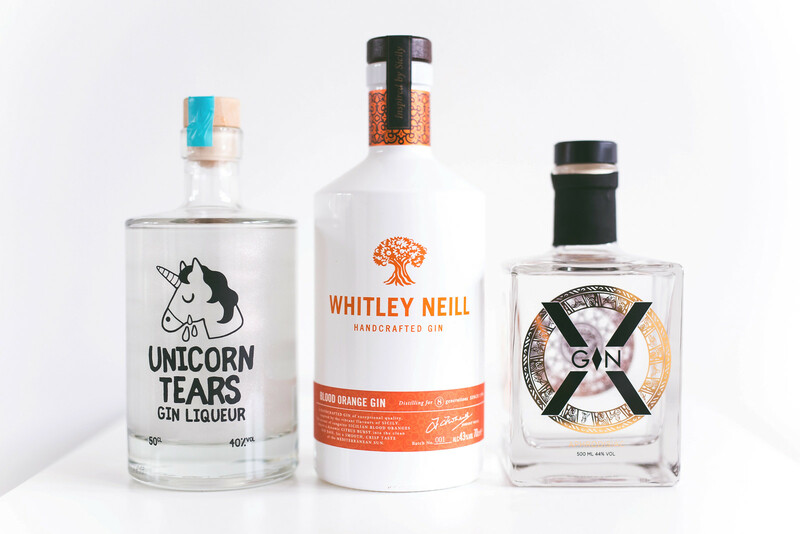 New additions this month have been the mesmerising Unicorn Tears Gin Liqueur from gift retailer Firebox, Whitley Neill's newly released Blood Orange Gin, and the luxurious X-Gin. The latter intrigued me with its award-winning status, a beautifully decorated bottle, and its unique selling point as, well... an aphrodisiac. A quick visit to their Instagram page reveals a montage of half-naked ladies posing with the X-Gin, which I suppose reflects the story behind the brand - a reinvention of an ancient Mayan recipe that "instilled passion in those who had the fortune to drink it". While I enjoyed the subtlety of its cocoa flavour (one of 47 botanicals), I must confess I didn't experience a sexual awakening. Perhaps because shooting flatlays alone in my livingroom isn't the most provocative of situations. Although I do wonder if the Unicorn Tears Gin Liqueur, which is humanely extracted from the tears of a literally horny animal, would have an improved effect on one's libido. This particular gin was an absolute delight, in terms of flavour as much as visually. 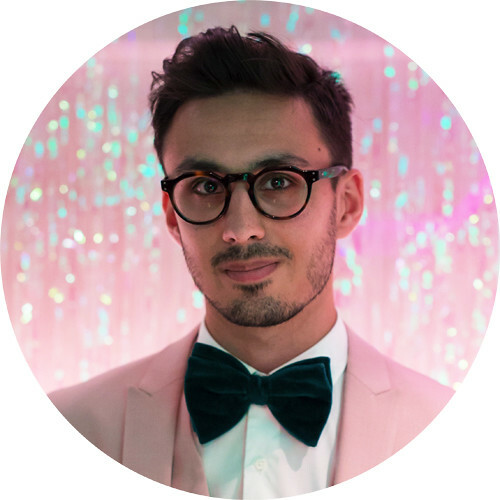 Its greatest selling factor is the iridescent glitter, which epitomises the unicorn theme, but could have so easily been little more than a sales gimmick for a humdrum gin. I was therefore pleasantly surprised to taste a spirit with a distinctive palette of citrus, awash with lightly sweet and savoury flavours beneath. 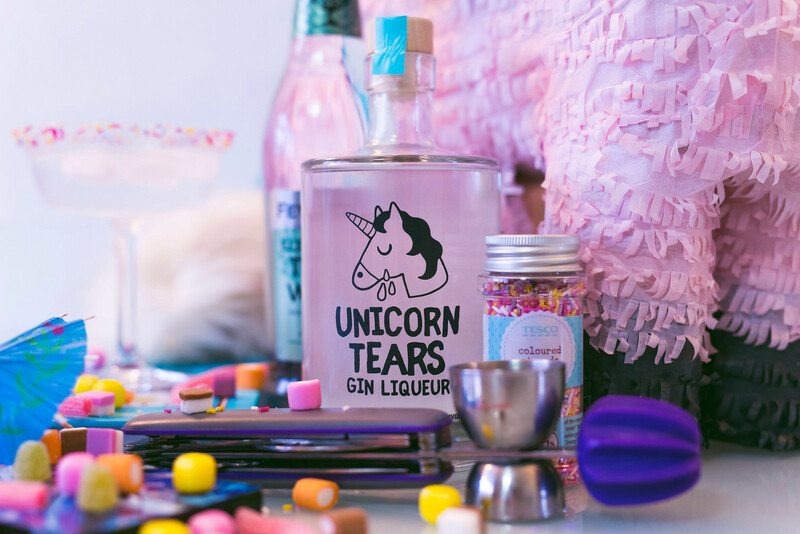 I had never thought unicorn tears could get you sloshed, but they make an all-round impressive gin and a guaranteed talking point at a party. Finally, Blood Orange Gin is the brand new release from Whitley Neill, whose previous successes have included their Blood Orange Vodka and Rhubarb & Ginger Gin. Having only just purchased a bottle at the weekend, I have yet to give it a taste, but given how much I adore Whitley Neill's other flavoured gins (Quince Gin is worth a tipple over ice! ), I have very high expectations. 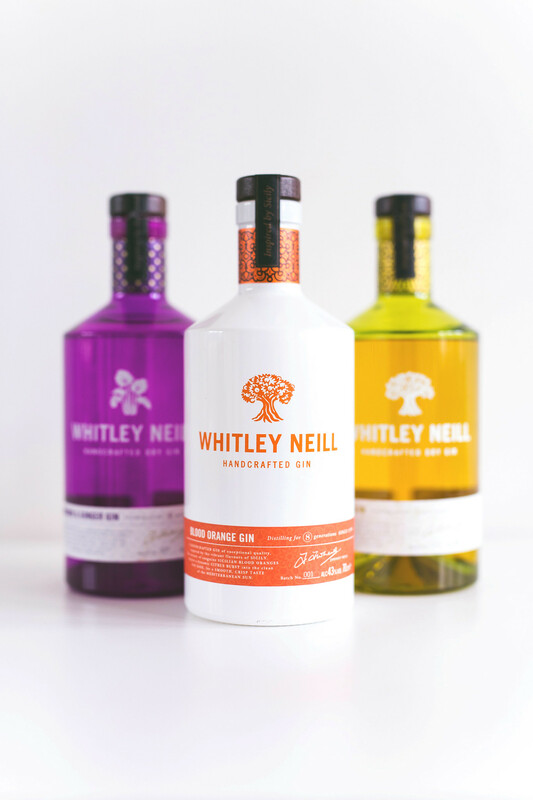 Unlike the X-Gin and Unicorn Tears, which require a spot of online shopping, Whitley Neill Blood Orange Gin is readily available in the drinks aisle of Morrisons for £26, along with a second new release, Raspberry Gin.